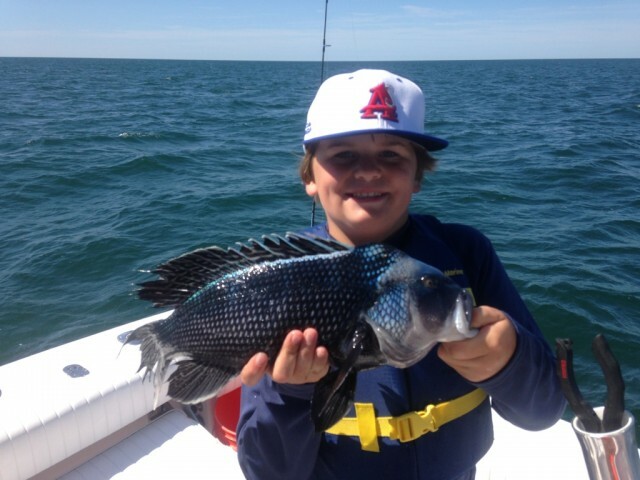 Climb aboard with Dragonfly Sportfishing for one of Cape Cod Fishing Charters’ lifetime experiences! 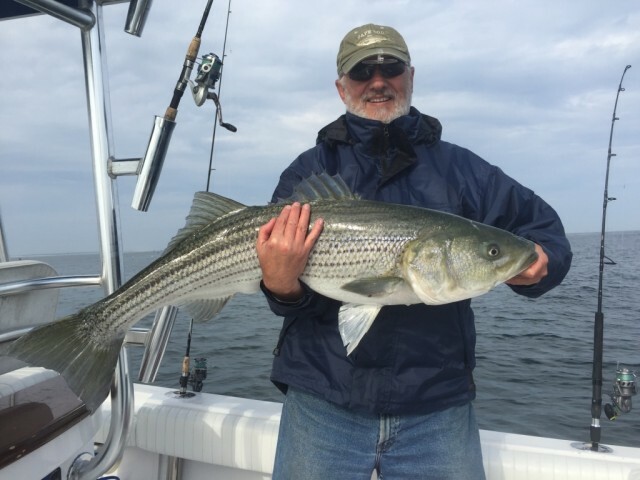 We offer deep sea fishing charters for Striped Bass , Bluefish, Bluefin Tuna , and Black Seabass. Cape Cod has some of the world’s best sport fishing opportunities, and the Dragonfly was custom designed and built to maximize your chances of catching a trophy fish. The boat is fast and comfortable with all of the Coast Guard certified safety equipment and high end fishing tackle you need to make your day on the water safe and successful. My 45 years of fishing experience in local waters guarantees you will have the best shot at an awesome fishing trip. Whether you are a seasoned angler or ready for your first experience with the sport, I look forward to having you aboard. Let’s go fishin’! 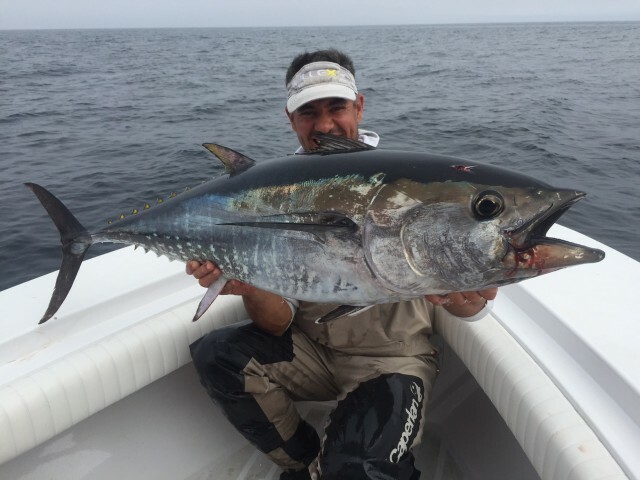 Watch another happy customer land a bluefin tuna aboard the Dragonfly! 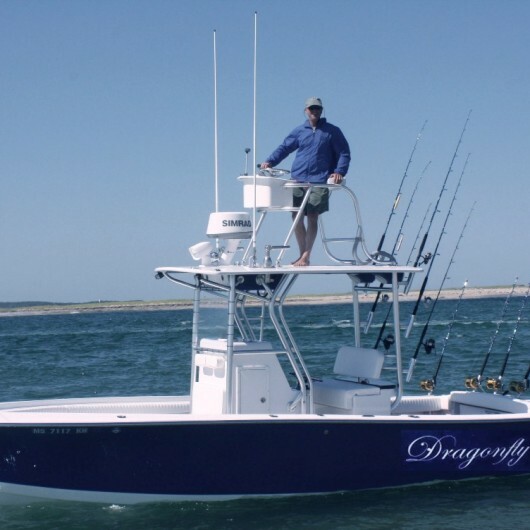 The 26 foot Dragonfly is the ultimate Cape Cod fishing machine. She was custom-built and equipped with state-of-the-art navigational equipment and U.S Coast Guard certified charter boat safety features. Lightning fast and nimble, the Dragonfly will get you to the fish in a hurry! 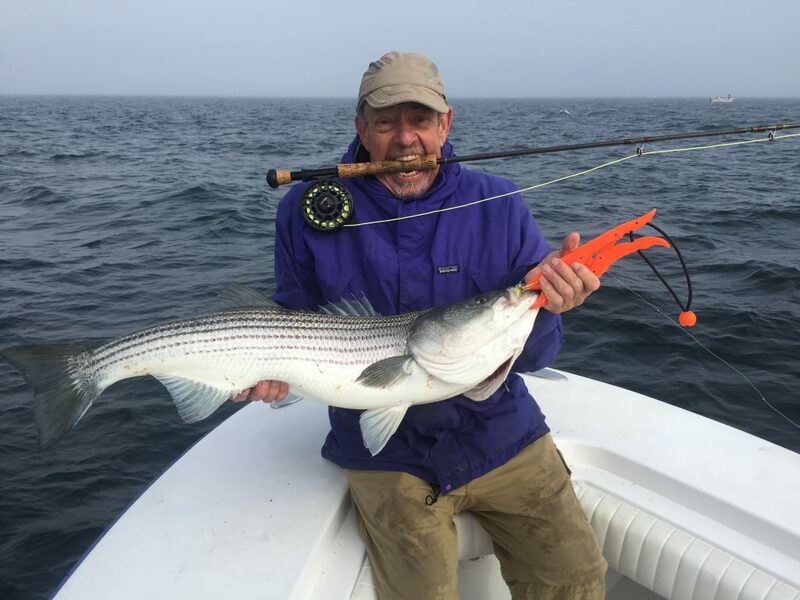 The cutting edge rods, reels and tackle we use on the Dragonfly are built by the fishing industry’s top manufacturers and specifically designed to optimize your chances of a trophy Striped Bass or Bluefin Tuna. Book your deep sea fishing trip today!